OM3 vs OM4 Fiber Cable: What Are Their Similarities and Differences? 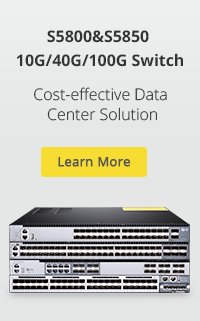 ← 1000BASE-T VS 1000BASE-TX: What’s the difference? OM3 and OM4 fiber cables are both popular multimode cables for fiber cabling. We know that they are both the optimized upgrade of OM2 for higher bandwidth applications. However, OM3 vs OM4, what are their differences? Here will discuss these topics on OM3 vs OM4 similarities and differences. OM3 and OM4 are both laser-optimized multi-mode fiber (LOMMF) and were developed to accommodate faster networks such as 10, 40, and 100 Gbps. 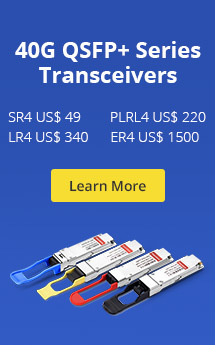 They have the same fiber core size 50/125 and the termination of the connectors is the same. Additionally, both of them are designed for use with 850-nm VCSELS (vertical-cavity surface-emitting lasers) and have aqua sheaths. With the better fiber optic cable construction, OM4 fiber (4,700 megahertz) operates at higher bandwidth than OM3 (2,500 megahertz). The higher bandwidth available in OM4 means a smaller modal dispersion and thus allows the cable links to be longer or allows for higher losses through more mated connectors. This gives more options when looking at network design. In addition, OM4 cable has better attenuation that leads lower losses than OM3 fiber cable. As we know, the lower losses mean that we can have longer links or have more mated connectors in the link. OM4 fiber cable has a better performance than OM3 due to its better cable construction. Therefore the primary cost increase arises from this. The cost for OM4 is greater due to the manufacture process and also due to economies of scale that the production of OM3 benefits from due to the volumes currently produced. In addition, costs vary depending on the construction type of the cable (loose tube, tight buffered, dry loose tube micro core cable). In general, OM4 fiber cable is about twice as expensive as OM3 fiber cable. This means that for lots of products such as standard fiber patch panels, MTP cassette modules, fiber patch cords the cost difference is very small (as the volume of cable is small). The cost difference starts to build up as the backbones/trunks get longer and the core counts get higher. Except cost consideration, the other consideration on using OM3 or OM4 is the availability of standard product. OM3 is much more widely used than OM4 because there is a greater range and depth of standard product available. 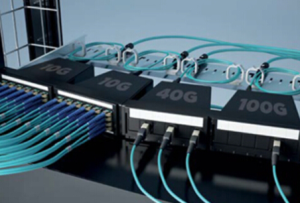 However, for factory manufactured pre-terminated solutions the availability is now similar due to the increase in the demand for 40GbE and 100GbE. Moreover, you should know that OM3 and OM4 are completely compatible. So it is completely viable to mix OM3 product with OM4 and still obtain the required performance. OM3 vs OM4 Fiber Cable, Which Do You Prefer? OM3 and OM4 both offer performance at distances most often required in LANs. OM3 offers a significantly reduced spend while OM4 offers a wider option for future plan. This is why we need OM4 though we have already had OM3. To choose OM3 or OM4 cables should depend on the your network/distance design and cost as well as the future migration plan of your network. OM3 or OM4 Multimode Fiber: Which Should I Choose? This entry was posted in Fiber Cable Assemblies and tagged OM3 fiber cable, OM3 vs OM4, OM4 fiber cable. Bookmark the permalink.